Featuring guest artist Andréa Moser. Love is in the air…and going up in flames! What happens when Danceworks Performance Company and guest artist and emcee Andréa Moser (What’s So Funny?, Mad Li(m)bs), doused with sequins, feathers and other accoutrements, look to the audience for suggestions? Torch songs, Broadway dance numbers, audience karaoke and hilarious heartbreak! Help us tackle the comedy and tragedy of love and loss in an evening of romance on the rocks! Photo: Jeff Zmania. 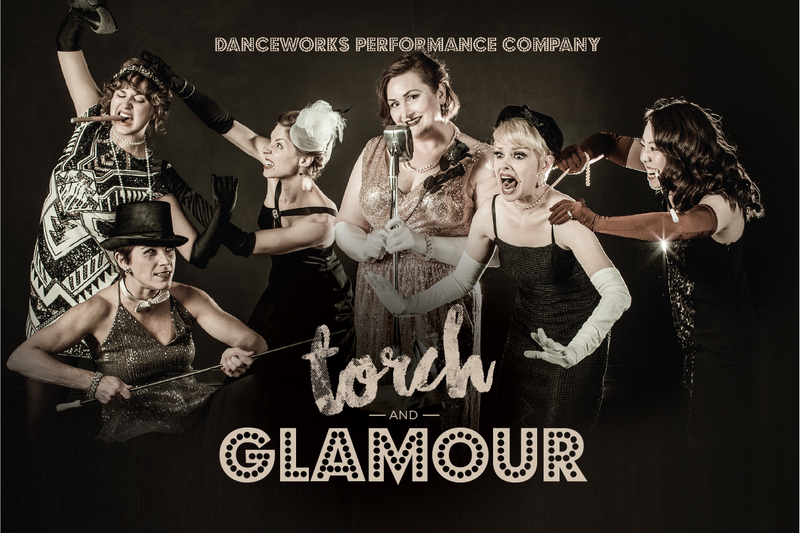 Torch and Glamour’s collaboration with Andréa Moser is sponsored by Jane Lewis and Mickey Maier.